It is a time of awakening. In our -fields, hedgerows and woodlands, our beaches, cities and parks, an almost imperceptible shift soon becomes a riot of sound and colour: winter ends, and life surges forth once more. Whether in town or country, we all share in this natural rhythm, in the joy and anticipation of the changing year. ; In prose and poetry both old and new, Spring mirrors the unfolding of the season, inviting us to see what’s around us with new eyes. 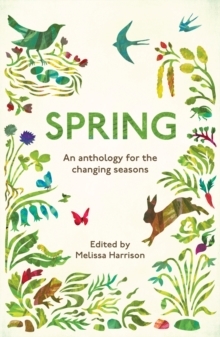 Featuring original writing by Rob Cowen, Miriam Darlington and Stephen Moss, classic extracts from the work of George Orwell, Clare Leighton and H. E. Bates, and fresh new voices from across the UK, this is an original and inspiring collection of nature writing that brings the British springtime to life in all its vivid glory.